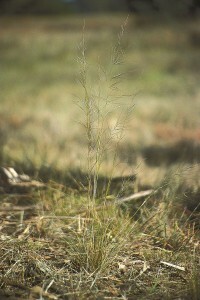 Native grass-based pastures dominate the Central Tablelands’. On average 48% of farm area is native pasture, 42% of the area is disturbed and sown to introduced pastures or fodder crops with the remaining area remnant timber. 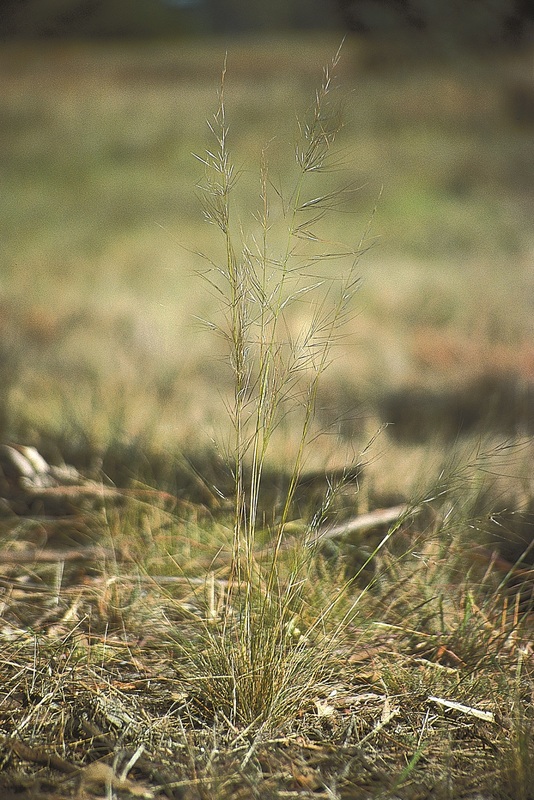 The most common native species across the central tablelands are wallaby grass (Rytidosperma spp., formally called Austrodanthonia spp. 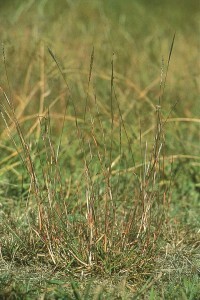 ), Microlaena (Microlaena stipoides) and redgrass (Bothriochloa macra). Other grasses including poa tussock (Poa spp. 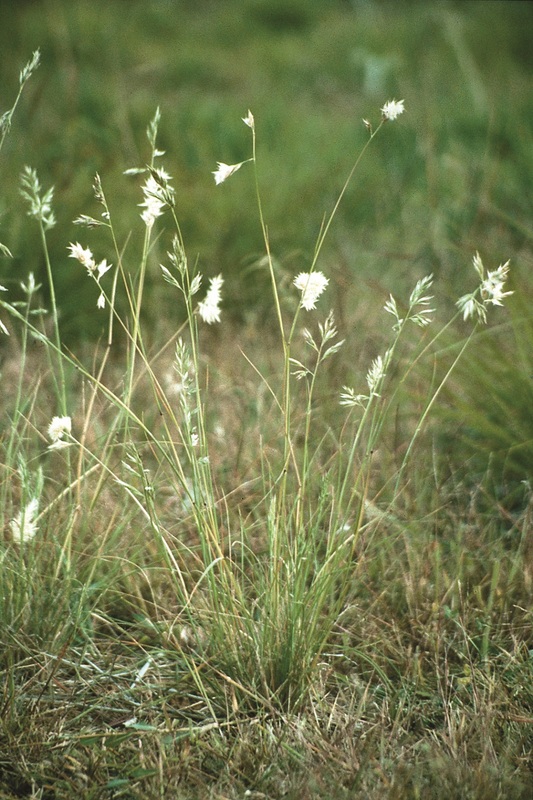 ), kangaroo grass (Themeda triandra), speargrass (Austrostipa scabra) and wiregrass (Aristida ramosa), are commonly found on the lighter soils and the seeds can cause problems in wool and sheep meat production, if they dominate the native pasture. 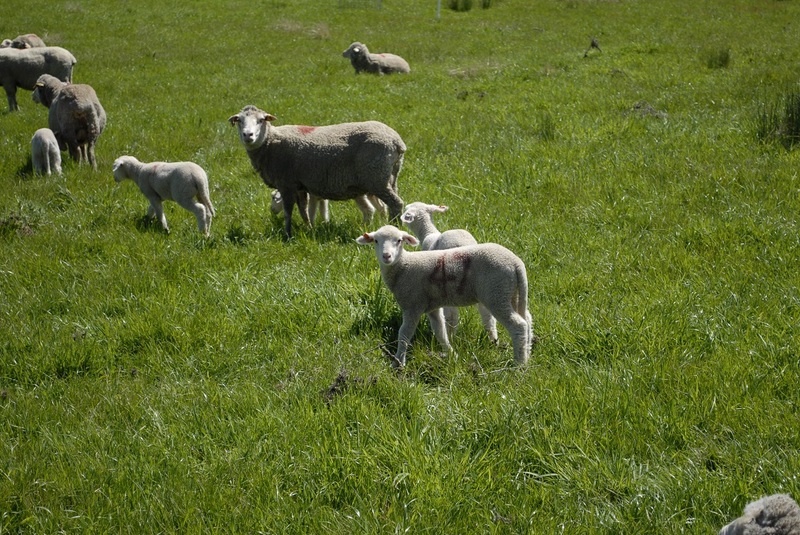 Native pastures are infrequently fertilised, are not considered to be highly productive by farmers and are often grazed by non-breeding stock primarily for wool production. They are generally fenced into large paddocks that are set-stocked (or have short rest periods). Large paddocks lead to patch grazing, causing over-utilisation in areas, which causes degradation of the pasture. 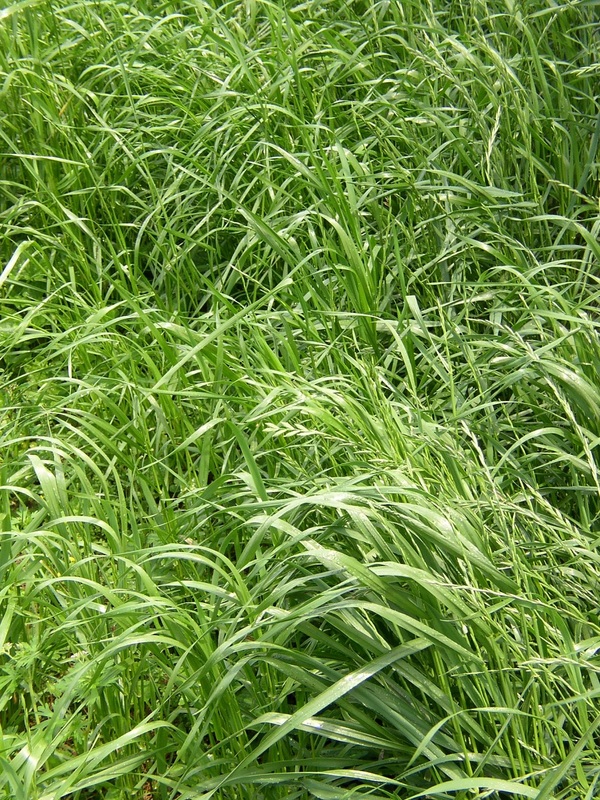 Naturalised annual grasses are common in most pastures. 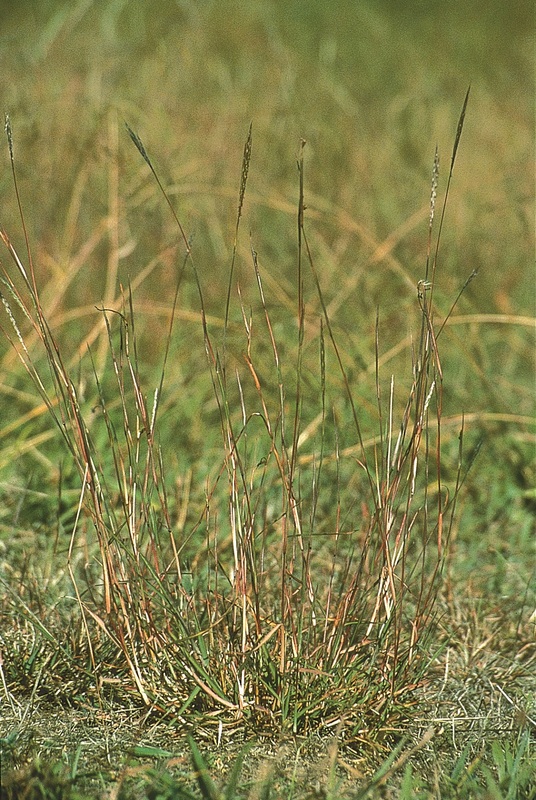 The most common annual grasses found across the region include silver grass (Vulpia spp. 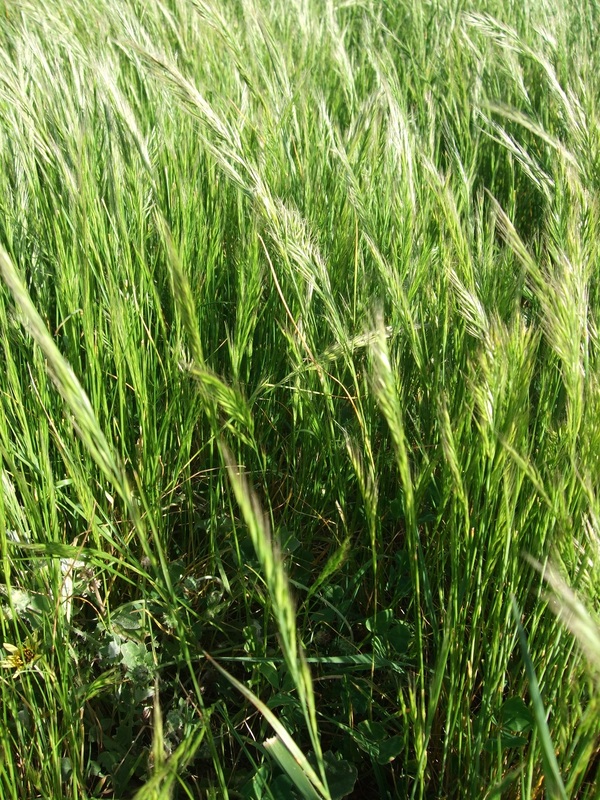 ), brome (Bromus spp. ), barley grass (Hordeum leporinum) and annual ryegrass (Lolium rigidum). 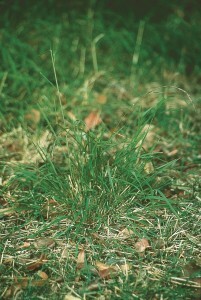 These species can be considered weeds, particularly when they dominate the pasture composition. 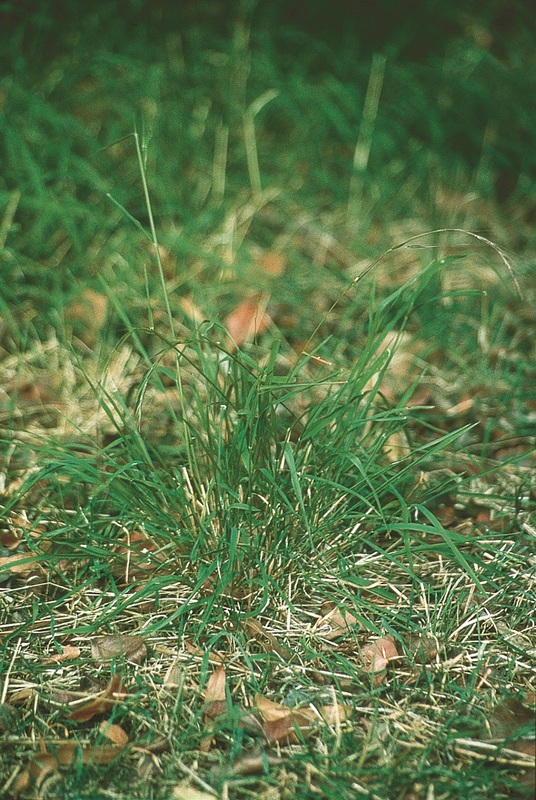 However, annual ryegrass can play an important role in providing winter growth and high quality feed throughout the growing season in native pastures, especially in more productive parts of the landscape. 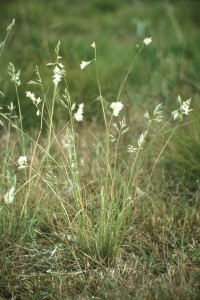 Silver grass (Vulpia spp.) can be a problematic weed in native pastures. Annual ryegrass in the high production zone at Orange Proof Site played an important role in providing quality feed throughout the growing season. There are three perennial weed species that require management and these include serrated tussock (Nassella trichotoma), Chilean needle grass (Nassella neesiana) and St. John’s wort (Hypericum perforatum). The native shrub biddybush (Cassinia spp. ), can cause problems on lighter soil types if it is allowed to dominate. Other broadleaf weeds include Patterson’s curse (Echium plantagineum), saffron thistle (Carthamus lanatus), spear thistle (Cirsium vulgare) and sorrel (Acetosella vulgaris). In the past the valley floors were utilised for intensive cropping and improved pastures but these have largely been taken over by native and a few naturalised grasses. Improved pastures are generally grown at higher altitudes and rainfall on the more fertile soils. The main sown species are phalaris (Phalaris aquatica), cocksfoot (Dactylis glomerata), perennial ryegrass (Lolium perenne), white clover (Trifolium repens) and subterranean clover (Trifolium subterranean). 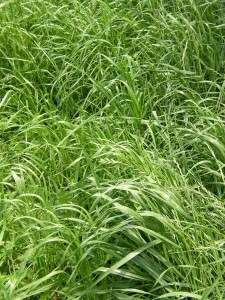 The sown pastures are used to grow animals out for both beef and sheep meat production. However it has been shown that a native pasture dominated by Microlaena and wallaby grass can be used for sheep breeding, and in the years with better springs, lambs can be finished. The average pasture production for the Central Tablelands is 8.6 t DM/ha/year, but this can be as low as 3-5 t DM/ha/year for unproductive native pastures on shale and granite soils in the north of the region. Pasture growth is highly variable. It is lowest and most limiting to livestock production during July and August, when temperature is lowest, with this gap being worse at higher elevations. Pasture growth is most reliable in early spring but variability increases from late spring through to early autumn, when soil moisture is reduced and pasture production relies more on rainfall, which occurs in larger and less frequent events. 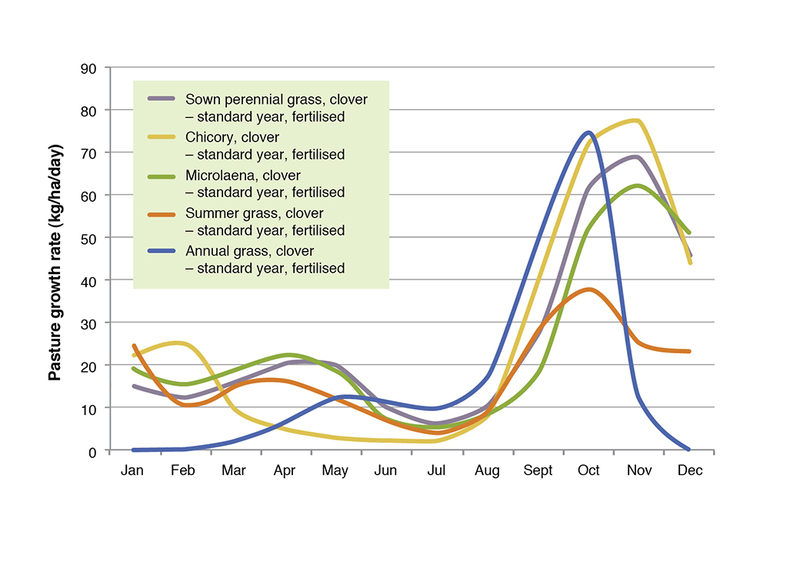 Figure 1 shows average growth curves for a range of common pasture species in the region. More data on pasture growth for this and other regions can be found here. Figure 1. Average pasture growth rates for a range of species in the Central Tablelands (note these will vary considerably between landscapes, at different soil fertility and at different altitudes). Most pastures in the region are a mixture of native, naturalised and introduced species where sown. Pasture composition is highly variable within and between paddocks, due to differences in soil type and depth, aspect and topography, grazing pressure, nutrient transfer and fertiliser inputs. For example, at the Orange EverGraze Proof Site, Microlaena, Yorkshire fog (Holcus lanatus) and annual ryegrass were abundant on the lower slopes where soil moisture and fertility were better. In the lighter upper slopes, wallaby grass and spear grass were more abundant. Different landscapes at Orange Proof Site were described as ‘production zones’ and are represented in Figure 2. Figure 2. Differences in pasture composition, soil fertility and production in the three production zones identified at the Orange EverGraze Proof Site. Within the variable landscapes of the Central Tablelands, identification and management of production zones is a key opportunity for increasing return from pastures. 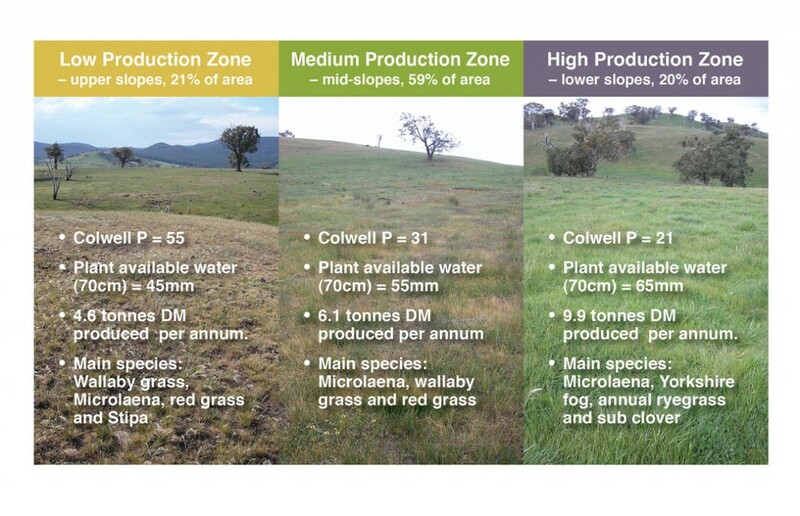 Once production zones are identified, higher returns can result from strategic use of variable fertiliser rates across the landscape, fencing and implementation of grazing strategies for increased pasture utilisation. The EverGraze action – Dividing up the farm for grazing strategies provides a process for identifying and mapping production zones or land classes. It should be noted that the return from investment in infrastructure (fencing and water) for intensification of grazing strategies is dependent on the amount of infrastructure required relative to that already existing on the farm. See Orange Proof Site economic analysis for further details. Further opportunity exists in building flexibility into livestock management strategies to account for variable seasons. This involves developing buying and selling strategies for a range of scenarios and planning ahead with fodder budgets, which account for soil moisture in the given season. The Orange Proof Site team is currently working on modelling to improve our understanding of the relationship between rainfall, feed on offer, the timing of buying and selling decisions, and the resulting economic return. Garden DL, Dowling PM, Eddy DA, Nicol HI (2000) A survey of farms on the Central, Southern and Monaro Tablelands of New South Wales: management practices, farmer knowledge of native grasses, and extent of native grass areas. Australian Journal of Experimental Agriculture 40(8), 1081-1088. Garden DL, Dowling PM, Eddy DA, Nicol HI (2001) The influence of climate, soil, and management on the composition of native grass pastures on the central, southern, and Monaro tablelands of New South Wales. Australian Journal of Agricultural Research 52, 925-936. Dellow JJ, Wilson GC, King WM, Auld BA (2002) Occurrence of weeds in the perennial pasture zone of New South Wales. Plant Protection Quarterly 17(1), 12-16. King WM, Dowling PM, Michalk DL, Kemp DR, Millar GD, Packer IJ, Priest SM, Tarleton JA (2006) Sustainable grazing systems for the Central Tablelands of New South Wales. 1. Agronomic implications of vegetation-environment associations within a naturalised temperate perennial grassland. Australian Journal of Experimental Agriculture 46(4), 439-456.